I can’t believe it was nearly eight months when this video was recorded. 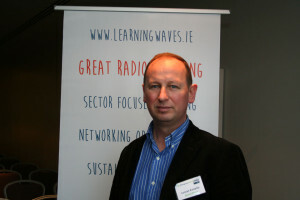 I was asked to keynote on The Changing Face of Radio by Learning Waves the leading provider of training for the Independent Commercial Radio Sector in Ireland. I was asked my predictions for 2015 and what was going to be the key stategies every business. Things have not changed. Once just to reiterate – if you are in business make sure you have a mobile marketing strategy and content marketing strategy at the heart of your business. Ten years ago there were 26 million mobile internet users across the globe. Fast forward to 2015, and we’re looking at 2,781 million people accessing the internet from a smartphone. Plus, mobile internet is getting faster. Whereas slow speeds have limited internet access in the past, 39% of all mobile connections are now considered to be “broadband,” with 3G, 4G and LTE networks becoming the norm. Advertisers are starting to sit up and take notice. Mobile ad spend is expected to increase from 42.63 million in 2014 to around 69 million in 2015, and is showing no sign of stopping. By 2016, the amount spent on mobile ads could be more than 100 billion globally. I have pulled together a couple of reasons this is so important for your business. An IDC Research report (PDF) states that 80% of people check their phones within 15 minutes of waking up.And we take our phones everywhere. According to research done by 11Mark, 75% of Americans have used their phones in the bathroom. The other 25% are obviously just not willing to admit it. If a visitor gets to a landing page or website that isn’t optimised for mobile, 40% of the time they’ll just look for another result. Those of you who take the time to become responsive to the needs of mobile users are going to end up with a nice, big piece of the search and conversion pie; this study by iAcquire states that 70% of mobile searches lead to action on websites within one hour. Now the other piece of the pie. As content marketing continues to evolve, so too do the stats surrounding its practice. I have put together 4 of the best, most recent stats to reflect on the present and future of content marketing. 84 percent of B2B marketers said brand awareness was a top goal. As these stats have hopefully shown you, the opportunity to reach customers through mobile and using good quality relevant content is massive. 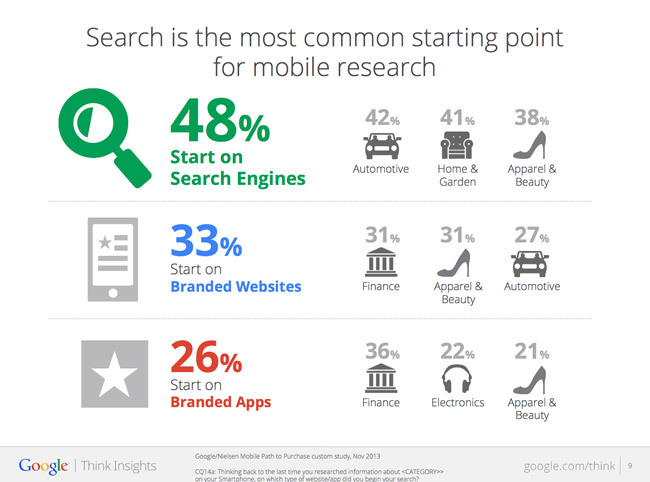 As people get curious about products, they search for them with their smartphone. The marketer who manages to put content in front of the searcher in a way that reaches them on their smartphone will always have the upper hand. Please leave a comment – Love to get your feedback!